I am often so overwhelmed by a never ending pile of things that need to be done – appointments, cleaning, paying bills. There’s nothing wrong with having these kinds of things to do, it is a necessary part of life. But I do think there is something wrong with always feeling so overwhelmed by it all. If we are looking to have less overwhelm in our lives, then we must do something to make our piles of to dos more attainable and less stressful. I think it’s safe to assume most of us have made some sort of to do list at some point in our lives. And I don’t mean simply having a list of tasks that need to get done in the back of your mind kind of list. I mean one in which we actually list out what we need to do with the option to add to it and cross it off. Maybe you’re someone that routinely makes them. And if that’s the case – great! I’d love to hear how it works for you. 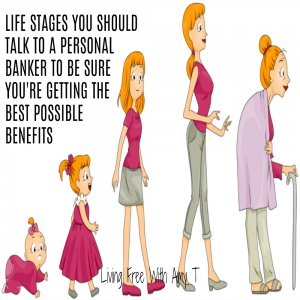 But if you’re not, I would like to share with you why I think they can really benefit you as well as some different ones you can choose from. Seems fairly obvious, right? But some of us think we can just remember what we need to do and don’t need to actually write it down. But have you ever made a grocery list in your head only to get home after shopping and realize you forgot to buy one, two, or five items? 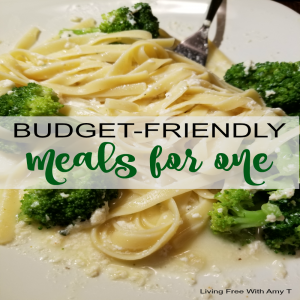 (OK, I admit it, many of us still forget to buy things even when we do have a written grocery list with us!) The same can be said for what we need to get done. 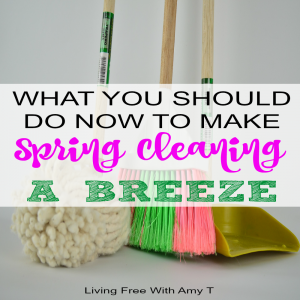 Sure, we can look around our house and see that it needs to be cleaned, or the laundry or dishes need to be done, or that the furniture isn’t going to dust itself. But what about the things that aren’t so visible? Like making a doctor’s appointment? Writing that important email? Returning something to a store? 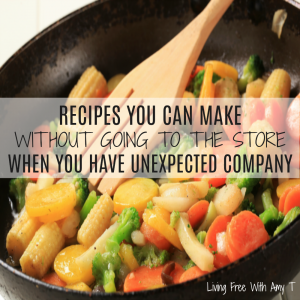 Those are the types of tasks that can easily get put on the back burner and forgotten about. 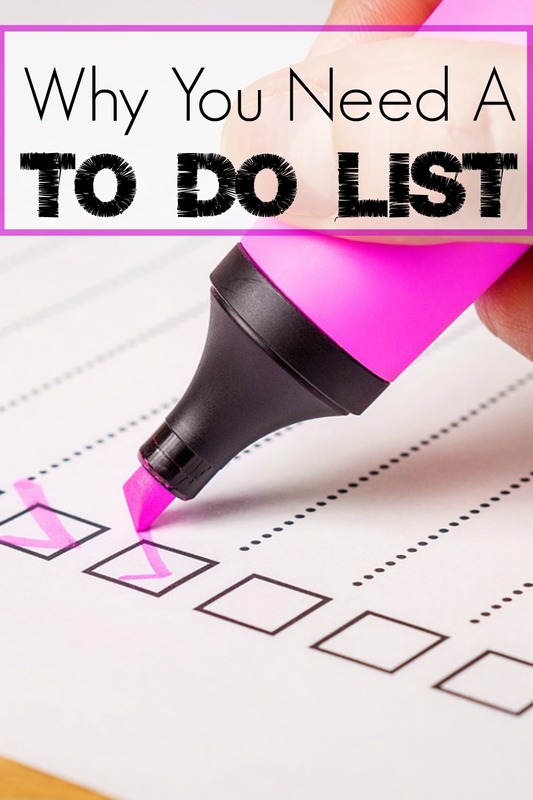 Listing them out on a to do list (as well as the more visible tasks like cleaning) makes what we need to get done much more realistic and makes certain we don’t forget about any of it. When we make to do lists, it gives us a way to break down everything we need to do. Without it, it is so easy to feel overwhelmed because we can only think about everything to get done. When it’s listed out, it makes it much more manageable. Once it is written down, we can focus on only one task at a time. One task certainly seems a lot better than 20! That helps us take the first step, and then the next, and then the next. So less overwhelming! To do lists also help with our productivity because they gives us a way to prioritize what we need to get done so we don’t waste time on the less important tasks first. When we own what we need to do, we are more likely to get it done. We are admitting these are tasks that can’t be pushed off or it will create more stress for us in the future. We are saying we don’t just want to spin our wheels but we want to actually make progress when we have things to do. We are choosing to take steps to be more productive so we can free up our time for the more important things in life. When we own it, the more we don’t want to fail and the more we want to make it great and successful. My favorite, most satisfying moment of a to do list is when I cross off something I have completed and my list gets shorter. This used to be with a pen when I actually wrote my to do lists on paper. Then I moved on to deleting the task when I kept my list on a post it note on my computer desktop. And now that I use an app on my phone, I get to watched a line get cross through it and then disappear. When this happens I know I made progress and it motivates me to do even more. Now that we have talked about why keeping a to do list is important, let’s discuss some ways in which to actually keep one. What kind of to do list should you keep? There are all different kinds of ways you can keep your to do list. And your way does not have to be the same as the person sitting next to you. What matters is that as soon as you know you have something you need to get done, you add it to your list. As I already mentioned, I used to write down on a piece of paper everything I needed to get done. I used post it notes but some people will use a notepad or notebook. This method worked well for awhile, but I eventually stopped wanting to make sure I always had my list with me and I got tired of how messy my list looked. If you are someone that still keeps your shopping list on a piece of paper, then this may be a good option for you. I eventually moved on to keeping an electronic post it note on my computer desktop. This was nice because it was neatly organized and I could just erase a task when I was finished. However, I liked this method more at work because my computer was always right there when I was working on anything. At home or out and about, I don’t always have my computer with me so this method didn’t always work so well. Now I use an app on my phone to keep my to do list. I love this because it’s always right there with me. I used to manage my tasks by using the app that comes with the iPhone (I don’t have an iPhone anymore and I can’t for the life of me remember what that app is called!). Now on my Android, I use an app simply called Tasks. You can create different lists and change the colors of them to keep them more separate. I also love how you can move tasks around in order to prioritize them (other apps I have tried automatically alphabetized them). There is also a checkbox next to each task so you can mark it completed and then delete it if you choose. And on yeah, it’s free! My husband likes to use Google tasks to keep his to do lists. Just open up Gmail and you can find them right there. What’s great about this is you can access it from anywhere on your phone, as long as you have the Google Tasks app. Bullet Journals are a very popular way to organize your tasks. 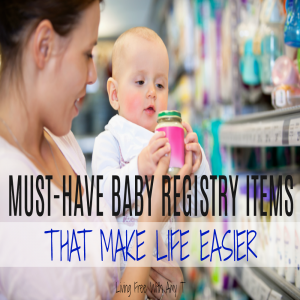 They help you break them down by month and day and help keep you organized. You can watch this video for more information on Bullet Journals. 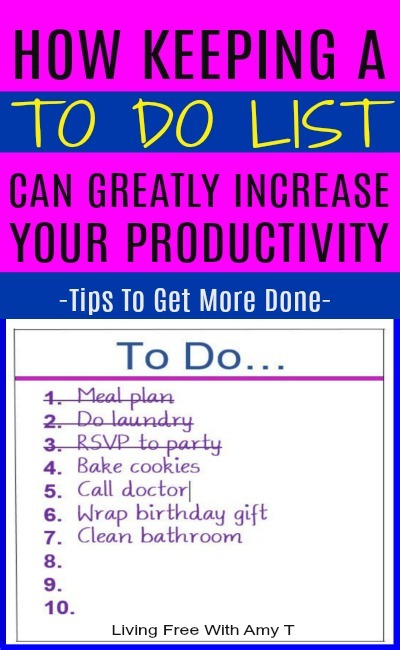 Whichever method you choose to use for a to do list, just be sure to stick with it and see your productivity soar! I believe to do lists are very important in order to have a more simplified life, less overwhelm, to not spin your wheels, and to accomplish more in a day. They keep us organized and help us take ownership of what we need to get done. If it’s been awhile since you’ve used one, give it a try and see how it goes! And please share your experience in the comments below. 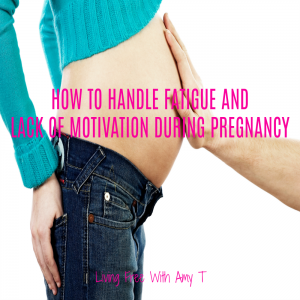 Do you have a different method to help you make sure you get done everything you need to do? What kind of to do list do you keep that is not on this list? I would also love to hear about that in the comments!